SF Locksmith are certified experts in door and window lock repairs and provide a proven level of customer service to domestic and commercial customers. We only use authentic materials that come with extensive guarantees. Regardless of the age of your door or window, or who originally installed it, we will aim to repair the fault. With the majority of our business coming via recommendations from previous customers, you can be assured of a first class service. When repairing locks to your property, using the services of a certified locksmith will guarantee the lock is repaired correctly and ensures that your home is protected. Locks fail after time from general wear and tear and malfunction. 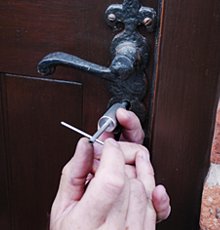 SF Locksmith have the expertise to solve these problems and aim to repair where possible, rather than replace the lock. With this in mind it is essential you call us before considering spending unnecessary money on a replacement door. Below is a list of the types of locks that SF Locksmith specialise in. All repairs come with a two year guarantee as well. 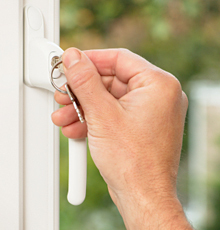 SF Locksmiths are well qualified to repair all types of window locks fitted to windows in the Rotherham area. If you have been advised that your window lock is not repairable and that you will need a new window, call us now for a no obligation, free quote on a repair. We are confident that our professional approach to door and window lock repairs will leave you very satisfied, safe and secure in your home or work premises in the future.